Nicholas got an assist on the 1st goal of the game. Check out the video below (he's in the white helmet). For those of you that don't follow hockey, an assist doesn't make the goal but sets it up for another player to make the goal. It is still a big deal, even though there isn't as much fanfare as if he had actually scored the goal. 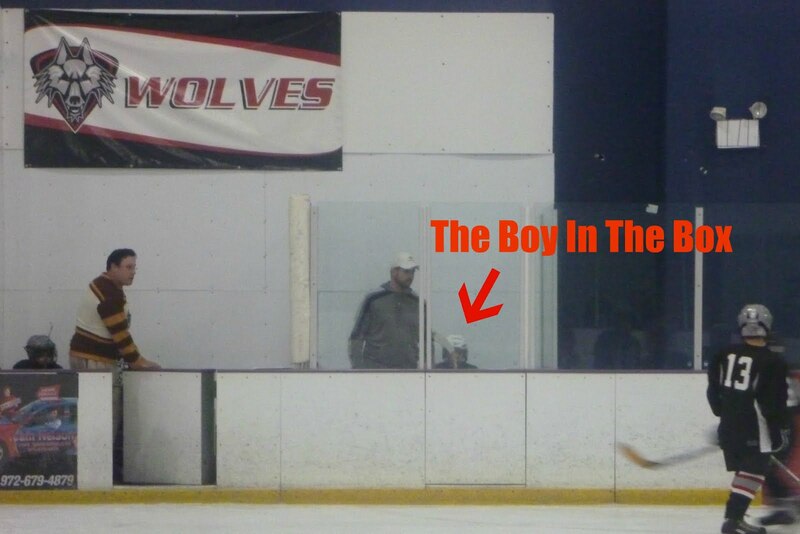 Later in the game, Nicholas tried to knock a stick out of the opposing team player's hand. That's not nice and he got a penalty for it. In hockey, a penalty means that the player has to sit in the penalty box for a designated amount of time and his team has to play short-handed. When a team gets their first goal, they are "on the board", meaning on the scoreboard. Well, I can look at this board and see my boy's number 9 up there as his finishes out the remaining 1:48 on his penalty...so I'm going to say that he finally made it "on the board". I love this video of the boys after their win! Nicholas skates out eventually but once he is lined up, he gets all into throwing stuff and celebrating. They are all so cute out there!